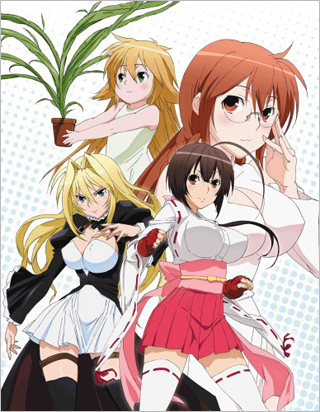 Looking at the character design emblazoned on the DVD itself, I immediately guessed (judging from her tremendous and impossible chest proportions), that this TV series would be about one thing and one thing only: fan service. And right I was; as she managed to get herself naked, or nearly so, about a dozen times in the first episode alone! 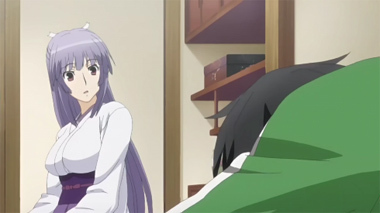 Oh sure, there's a story here, but it's a prop on which to hang the fanservice. The plot is after all, about girls that fight. And when they fight, clothing gets ripped. Sound familiar? 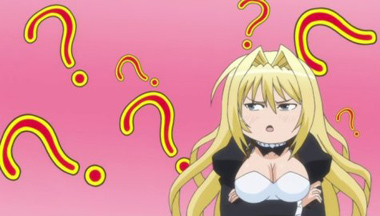 It's been an on-going theme in anime for about the last decade. Let's dig a little deeper and find out if there's anything here new to add to this particular trope. Yes there is: Apparently, it's a "game" controlled by an all-powerful corporation and there are specific number of Sekireis (although they appear to all live at the protagonists domicile). 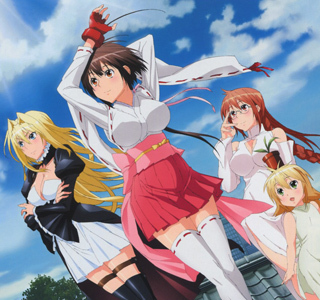 It could have easily become a "harem" plotline, but doesn't, at least, not right away. 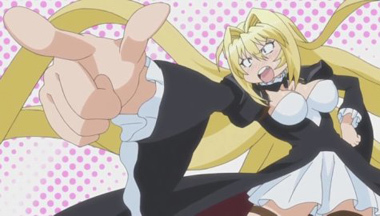 However, our hero, a bumbling fool named Minato Sahashi, learns that he is an "Ashikabi", someone who can "wing" a Sekirei (by kissing them), which allows the Sekirei to use his or her full powers (yes, there are male Sekirei, but they are Bishonen, which I guess was thrown in to give something to the ladies rather than making this an all-about-boy-libido show). 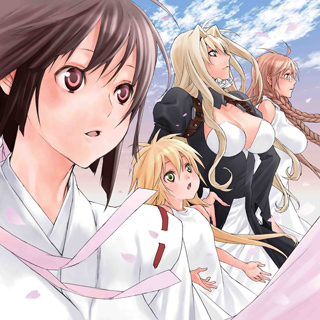 However, problems can ensue for an Ashikabi, especially when he "wings" more than one Sekirei (because they bond with him). 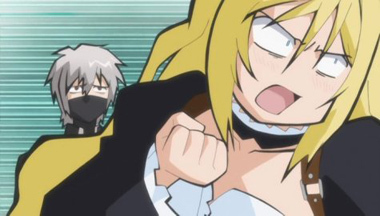 This however, makes him a target as killing the Ashikabi also kills any Sekirei he has bonded with. 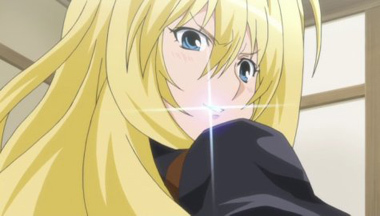 And, if you think they haven't taken this far enough, it turns out the Sekirei are aliens. Yes, there was a spaceship and everything. And there are eight mysterious artifacts from the spaceship that can be gathered (dragonball, anyone?) 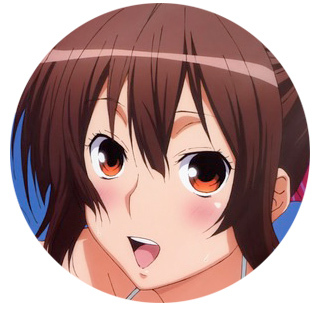 which can terminate all the Sekirei if the user so wishes. Is it getting complicated yet? 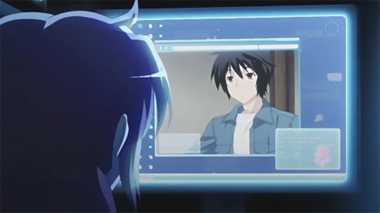 One wonders if this wasn't really set-up for a videogame rather than an anime series, although the line between the two has blurred to the point where it essentially doesn't matter. 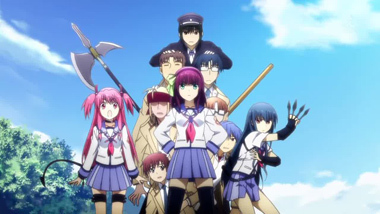 While it's original enough to keep you entertained, if you're not into constant fan-service, you're likely to be put off by this series. However, if you're male, have just entered puberty, and boobies are a big attraction, you won't find 'em much bigger than here. And in your face. Constantly. 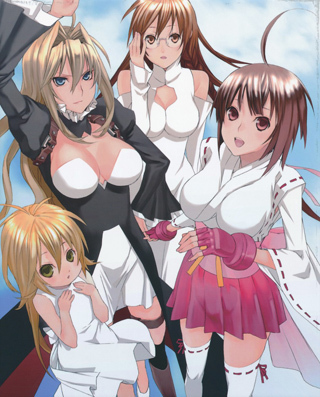 Below: Promotional illustrations for Sekirei.